Here is an informative guide for the winemaker and connoisseur seeking a better and more basic understanding of what the science associated with winemaking is about! 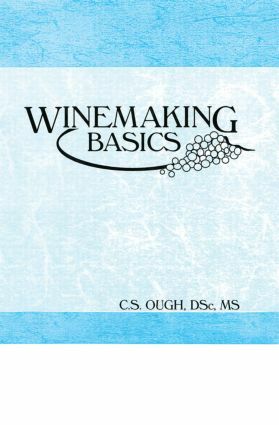 Winemaking Basics offers various options on making table wines. It also gives the winemaker some insight into why certain treatments have desired--or undesired--effects. Winemakers will learn techniques to change the style of their wine, avoid pitfalls, and correct or prevent expensive and frustrating problems. The bibliography covers most of the current texts that should be of interest to the winemaker. Although not heavily referenced, this informative guide mentions a few key books and articles for the reader who wishes to pursue the science aspects more deeply.